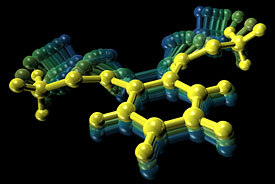 Our research involves the synthesis and study of large organic molecules and the discovery of new polymeric materials. Most projects relate to one of three areas: new macromolecular architectures and their supramolecular organization; responsive polymers including self-healing materials; mechanochemical transduction. In general, our group uses the tools of synthetic and physical organic chemistry to address problems at the interface of chemistry and materials science.